The Soberanes Fire has seemed so personal to so many of us. While our family has been placed on warning evacuation due to the fire, our home is safe at the moment. 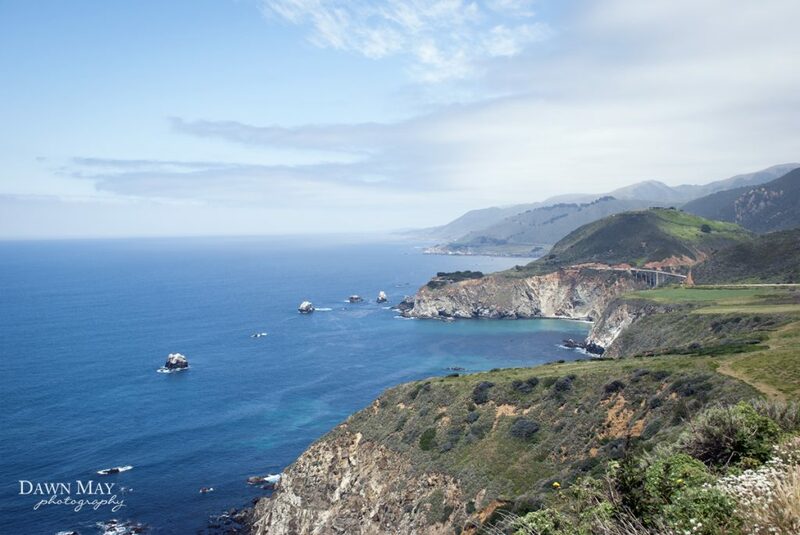 We all seem to be mourning the loss of a life, homes and trails, along with the spectacular beauty and vastness that makes Big Sur so enchanting. As I tried to think of a specific way to help those who have lost their homes in this tragic (and still burning) Soberanes Fire, I wanted to try to give back in a small way. For anyone who purchases my favorite Big Sur photo as a metal print, wood print, or canvas through the end of August, Dawn May Photography will be giving 30% of these sales directly to The Community Foundation for Monterey County Sobranes Fire Fund (http://www.cfmco.org). More details below. My family has had this metal print hanging in our living room for several months and it has brought us so much joy as we love the Big Sur coastline. Yes, the trails and natural beauty will eventually regrow, but people will need to rebuild their homes so much sooner. All canvases come with a 1.5” depth wrap and sawtooth hangers (optional). Metal prints give your images a modern and edgy feel. Images are printed directly onto high quality aluminum. Metal Prints come with 3/4″ gatorboard block that contains holes for hanging. Wood prints give your print a natural look with your image printed on maple wood. The beauty of the grain comes through on the lighter colors and white areas of your image, giving it a soft and warm feel. Wood Prints are ½” deep and finished with a protective laminate and are ready to hang with a pre-cut keyhole. Due to the nature of the maple wood, no two boards will look exactly alike. Each print will be unique. To order your wall art, please visit my gallery (password: Bigsurca16) to place your order directly or email dawn@dawnmayphotography.com. Additional sizes are available, but please inquire for more details. The Community Foundation for Monterey County (CFMC) has created the Soberanes Fire Fund to assist the affected community in recovery efforts from the #SoberanesFire which began July 22, 2016. Donations to this fund will provide support in the aftermath of the fire. Grants from the fund will be distributed to nonprofit agencies and organizations directly assisting individuals to meet needs as they arise. We are working in close partnership with the Coast Property Owners Association to deploy resources where they are most needed. The CFMC has waived all administrative fees so 100% of donations will be used for grantmaking. The funds will be used to make grants to agencies providing emergency assistance, health and human services, short term housing/rental assistance, reimbursement of equipment and supplies, and other immediate relief or long-term recovery support for the affected residents. The fund is a trusted repository for philanthropic assets to be directed specifically for this purpose. COPYRIGHT 2009 - 2019 Dawn May Photography All Rights Reserved.